Cascais seems to have it all. Golden beaches, historic buildings, endless restaurants, lavish hotels, and the best gelato in Portugal are all packed into this wealthy seaside town. Once a traditional fishing village on Portugal’s Atlantic coast, Cascais is now the most popular holiday destination in the region. But what really makes this town special is its relaxed attitude and outdoorsy way of life. From paddleboarding in the bay to push ups on the promenade, this is a place where the locals like to exercise. And with so many active things to do in Cascais, you’ll probably find yourself doing the same. Surfing is one of the most exhilarating things to do in Cascais. 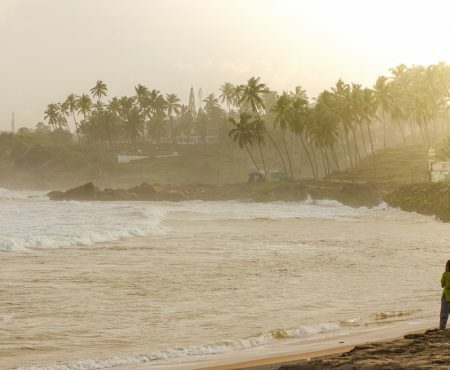 It’s also hugely popular, given the region’s rugged beaches, powerful waves, and sunny days. Praia do Guincho Beach is one of the most highly rated surf beaches in the Lisbon region. Just 6 kilometres north-west of Cascais, it sits on the edge of the Serra de Sintra National Park. Low sand dunes and jagged cliffs frame this windswept beach, so you can take in the views while you surf. Guincho is popular with surfers of all abilities, so it’s a good place to go for lessons or to rent boards. If you’re a beginner or looking to improve your existing skills, head to Moana Surf School. Adjacent to Guincho Beach, Moana is a lovely place with excellent instructors. They offer group and private lessons, surf clinics, and summer camps for kids. And it’s easy to get there – Alex, the school’s super-friendly owner, offers transport to and from Cascais and Lisbon. If you’d prefer to admire the waves from a distance, it’s worth remembering that Cascais sits between two contrasting coastlines. To the north, the wild, windswept beaches are great for surfers. But to the east, the beaches are family friendly and perfect for a lazy day. Invented in Polynesia as a means of transport between the islands, SUP has become an increasingly popular water sport. Practised in either calm waters or waves, SUP can be as exciting or laid-back as you want it to be. In the Bay of Cascais, the calm waters are perfect for cruising and exploring the coastline. Beyond Boards SUP School offer lessons and tours, so they’ll teach you all the basics before you get out on the water. All you need to do then is paddle, relax, and enjoy the scenery. Or if you’re looking for more physically challenging/hilarious things to do in Cascais, you could give SUP yoga or SUP Pilates a go. As soon as I arrived in Cascais, I knew it would be a great place for a yoga retreat. It’s not just the climate, although that certainly helps. It’s also the laid-back attitude, the friendliness of the locals, and the abundance of great food. 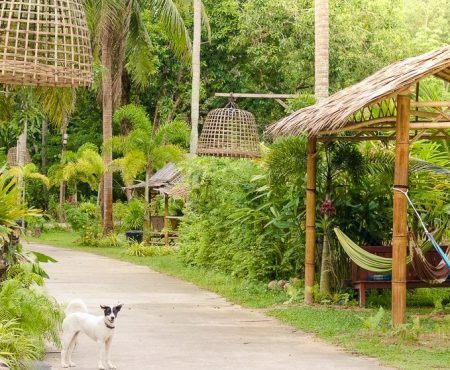 The Salty Pelican runs yoga retreats, as well as yoga and surf packages. It combines the fun and relaxed atmosphere of a hostel with the nourishing aspects of a retreat. Ida, the Salty Pelican’s yoga instructor, radiates sunshine. She teaches the morning yang yoga sessions, which usually happen on the pier at sunrise, and a relaxing yin yoga session in the afternoons. Alternatively, if you’d prefer to add some yoga classes into your holiday, you can try one of the yoga studios in the town. Ashtanga Cascais offers a weekly timetable of Mysore Style lessons, which are open to beginners through to advanced students. With over 16 kilometres of coastal cycling paths, this is a great region of Portugal to enjoy on a bike. And if you’re looking for cheap things to do in Cascais, it’s ideal. Bicas is the free bike service run by the local council. 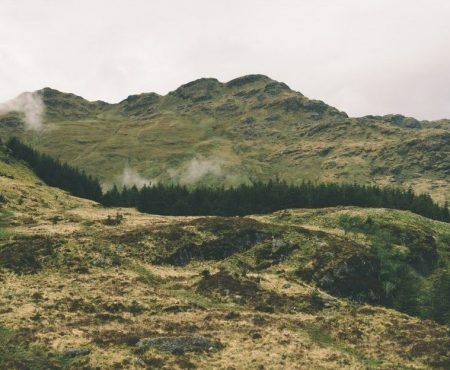 Just bring your ID or passport to a rental point, get your bike, and start exploring. The bikes are very popular during high season, so it’s best to grab one early in the morning. The 10 km round trip from Cascais to Guincho Beach is a beautiful route. It follows the coastline past a dramatic cliff formation called Boca de Inferno and a 17th-century fort. Cyclists are on a separate path, so it’s a safe and relaxing ride. The route starts in front of the Castro Guimarães Museum, to the west of the Marina in Cascais. 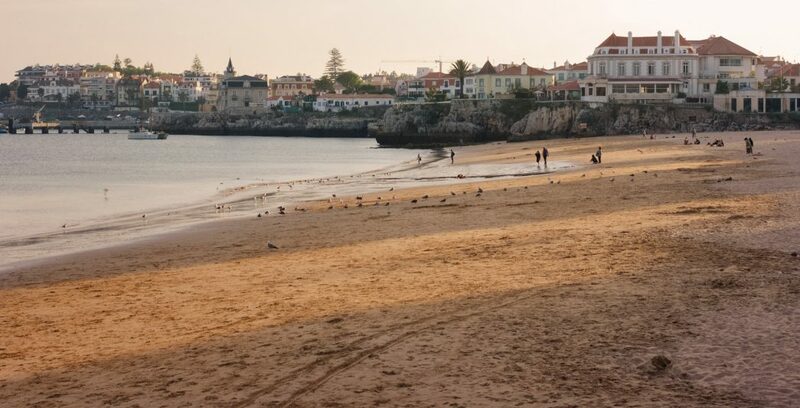 If you’d prefer to stay on your own two feet, you’re in luck, because Cascais is a great place for walkers. You can stroll around the cobbled streets of the town or wander along the seafront promenade. The promenade looks its best at sunset when the beaches are bathed in golden light. To escape the heat on a summer’s day, walk to Parque Marechal Carmona. The park is big with shady trees, large lawns, flower beds, and wilder sections. There are also lots of quiet places to stop for a picnic. Or for longer trails, spend a day exploring Sintra-Cascais National Park. One of the most popular day trips from Cascais, Sintra is a UNESCO site that combines history with fairytale scenery. Getting there: Cascais is situated 30 km west of Lisbon and the best way to get there is by train. The train journey from Cais de Sodré in Lisbon to Cascais takes between 30 and 40 minutes, depending on the number of stops. Day trips: Two bus services connect Cascais with Sintra Natural Park – the 403 and the 417. Accommodation: There’s a wide selection of hotels in Cascais, ranging from traditional to ultra-luxurious. Make time to… treat yourself to Santini’s famous gelato after a day of outdoor fun.